Mesotherapy can help deal with facial neuralgia. When it comes to the face, mesotherapy is used for much more than cosmetic improvement. It can also be helpful in treating facial neuralgia. Trimengial neuralgia is the term that is official to used to describe face pain or facial neuralgia. It describes a mysterious stabbing pain that appears to come and go. It can interfere with daily activities such as eating and sleeping. The condition can lead to irritability, depression and a refusal to eat. It known as the "tic douloureux" because of a characteristic muscle spasm that accompanies the pain. Mesotherapy may help with the numbness, twitching and random pulsing of the muscles and help reduce some of the psychological self-consciousness that comes with having this condition. Mesotherapy injection cocktails that are used to treat facial neuralgia may contain agents that are anti-inflammatory, relaxing, vasodilators, vitamins and trace elements from minerals and plants. Facial neuralgia usually occurs on one side of the face. pain in the maxillary nerve, which runs along your cheekbone, most of your nose, upper lip, and upper teeth. Next most commonly affected is the mandibular nerve, affecting your lower cheek, lower lip, and jaw. It is experienced as a sharp stabbing pain that comes and goes. 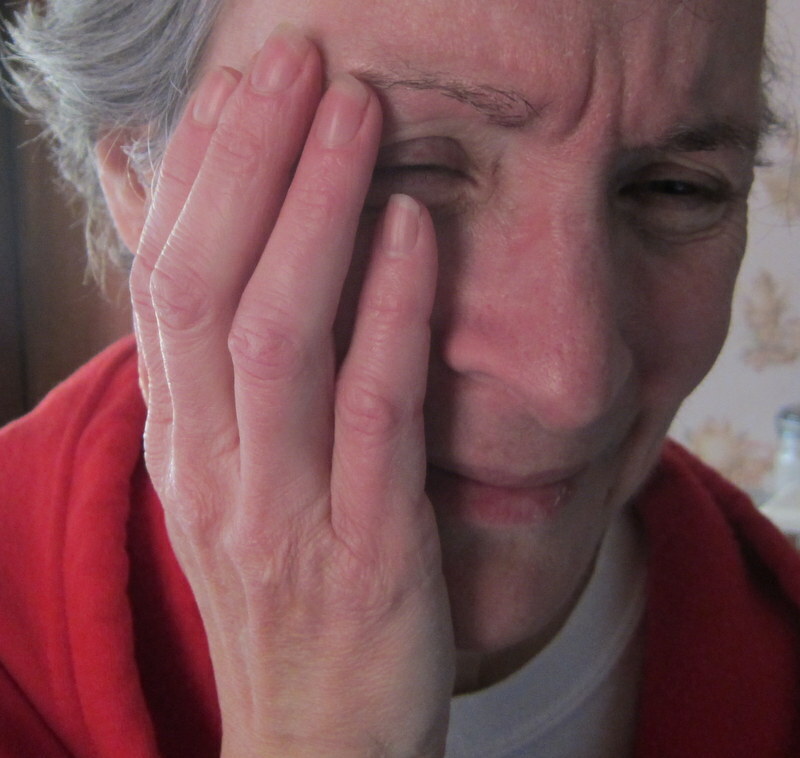 The person sometimes feels tingling and shocks and the muscles of the face often spasm because of the pain. People who have facial neuralgia suffer pain even if their cheek, nose or lip is touched. This makes it difficult to do things like shave, kiss, eat or talk for some people. Between attacks, however most people remain relatively pain free. This disorder has no clear cause. Many doctors and researchers believe that it is simply the result of natural aging. The protective sheathing on the trimengial nerve, which runs along the jaw, eyes and forehead simply becomes degraded and more sensitive. A more modern but not proven theory is that somehow a blood vessel becomes compressed due to aging and shifting bones causing the facial nerves to become agitated and triggered into action. Medications used to treat trigeminal neuralgia are those used for many other nerve pain syndromes—drugs originally designed to treat seizures. Doctors use 3 main drugs to treat trigeminal neuralgia—baclofen (Lioresal), carbamazepine (Tegretol), and phenytoin (Dilantin). Sometimes these drugs are injected right into the trimengial nerve in an attempt to calm it down. Thankfully most individuals do achieve longstanding relief from this condition if they are treated with medication and some can achieve relief with mesotherapy and lifestyle changes. A very well-written, informative and brief article. The disease is very new to me and I had never heard of it before. I wish everybody remains safe from it. The sickness is different to me and I had never known about it. If want to purchase botox. We offer a safe and secure way to purchase Botox online from our store with shipment in USA. You have written a very unique piece of writing.If you are looking for Facial Fillers,then you can contact dermatiqueskinspa for more details.